Companies all over the world have flocked to Instagram to showcase the best of what they have to offer. Sure, many of these companies are selling a tangible product rather than an educational experience but there’s room for colleges and universities too. Plenty of room, in fact! More than 90% of instagram’s users are aged between 18 and 34 years of age so it makes perfect sense for universities and colleges to maintain an active presence. There’s already a whole bunch of universities and colleges actively engaging with students on Instagram and they’re doing some pretty interesting things too and innovative things; from running photography competitions to hosting Instagram takeovers. What works for your organization on twitter or facebook won’t necessarily work on Instagram. It’s therefore important that you hatch a strategic plan that is specific to Instagram. Remember, Instagram is positioned as an almost exclusively mobile experience so it’s a great way to target a mobile audience. If you’re social media savvy then you’re probably already familiar with the ‘Throwback Thursday’ hashtag which gives users free reign to post photos from bygone days. This popular hashtag gives universities and colleges a great opportunity to appeal to past (and present) students. Universities and colleges who use this hashtag use it to show what life on campus was like for past students or to showcase some of the best talents who have emerged from their institution. Check out this photo of Walt Disney receiving an honorary degree from Harvard University in 1938. Whether it’s a prominent speaker who is set to attend your campus or there’s an all-important game coming up, Instagram provides a great opportunity for you to drum up some excitement and advertise what’s happening on campus. Check out this post from the University of Kentucky’s official Instagram account. What a great way to get people excited about a school game! These are just some of the most common types of photos that universities and colleges are posting on Instagram to give you a little Ins-ta-piration. 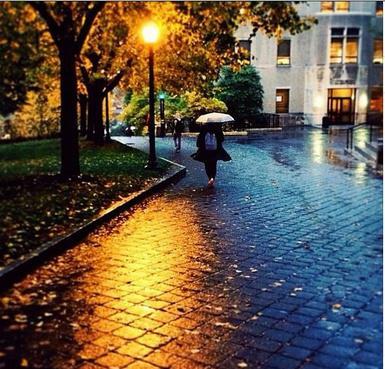 Has your university been converted to Instagram? Let us know in the comments below!